iRealHousewives | The 411 On American + International Real Housewives: Teresa Giudice Is “Very Proud” Of Bethenny Frankel’s Humanitarian Efforts! 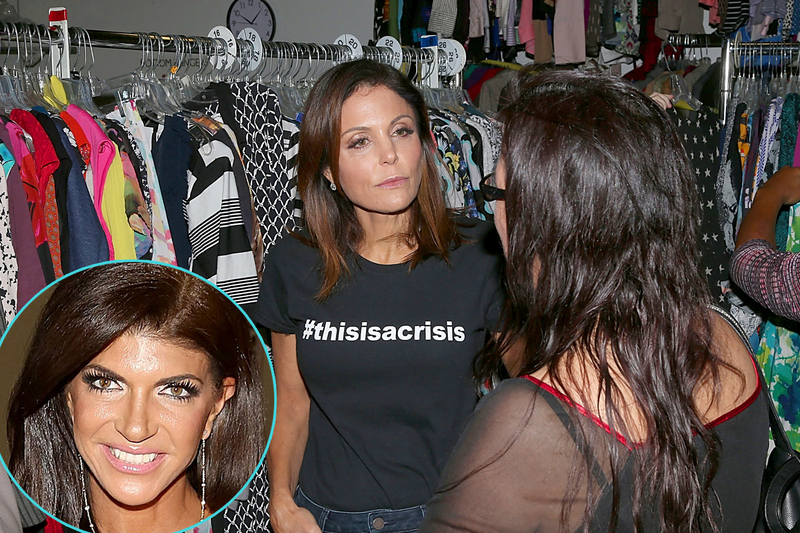 Teresa Giudice Is “Very Proud” Of Bethenny Frankel’s Humanitarian Efforts! Bethenny Frankel has been helping those affected by the recent natural disasters in Florida, Texas, and now Mexico, which was affected by a deadly earthquake earlier this month, as well as Puerto Rico, which was devastated by Hurricane Maria last week. Through her B Strong charity, the Real Housewives of New York City star has been stepping up and helping those who need it most, including making treks to areas affected. She recently flew to Mexico and has pledged that "next stop [is] PR." The Real Housewives of New Jersey star Teresa Giudice shouted out the Skinnygirl mogul's work on Twitter. The tweet didn't go unnoticed by Bethenny — and from there the women exchanged messages about Bethenny's work. Bethenny recently underwent surgery for skin cancer, but isn't letting it slow her down. "Home healing & working on relief in St. Croix & PR. This is effin insane. If you only knew the half of it you would crawl under a couch," she shared with her fans on Twitter. Home healing & working on relief in St. Croix & PR. This is effin insane. If you only knew the half of it you would crawl under a couch.